There are many many beautiful things about my life right now. Fun things and light things. Things I am eternally grateful for and things I am loving doing. But yesterday the weight of living across a different world caught up with me. The inequality and the unknown caught up with me. The girl with deep well eyes caught up with me. She was under the bridge and I have so many questions about her and others like her. This bears witness to that weight and the ensuing release. Heart torn with shoulders fighting drawn. Worlds apart and worlds away. We revolve, unchanged yet ever changing. Woven by a name, shared but unknown. I pray it would land near her own. This pain and shame interwoven, the same. Why her, why me, why this same name?. I am hers and somehow she is mine. In this space between daylight and dusk. I look, I pray, I must. Breath of God, breath of pain. I find myself juggling more work, bigger children, clients and friends to see and lots of ideas. So many ideas my head is about to explode if I don't write them all down!. My biggest challenge has been to write them down and let them sit for a while. I am by nature a 'do'er'. I like short term projects that have maximum impact. But something I learnt while we were away is that the rest of the world will wait but childhood will not. These darlings of mine, little pieces of my heart living and breathing in the world as tiny individuals, are a long term project. Sometimes the results seem minimal for the output required, but while I fuss over the logistics of shipping product from here to there and pricing for a new market, my children are growing and changing and if I even blink another milestone seems to pass on by. And I don't want to miss it. So I am practicing being present. To be honest, I love my children but I'm not the kid of mum who revels in domestic duty and so I have to admit this is the hardest work I have to do. To ignore my emails, turn phones to silent, keep some kind of livable home space for them, give attention to holding my word, coaching them as they negotiate the tricky waters of emotion and social graces. Truly, this is my hardest task. I pine a little for the days when their snuffly noses pressed against my neck, nuzzling close in the dark hours of the night. And at the same time I catch myself thinking, who pines for sleepless nights?!. But I remember thinking to myself in those midnight moments 'hold onto this thought, this window in time, for it will pass all too soon'. I wonder if it will now just be a few breaths until the wiggly teeth and skinned knees of today seem a thousand miles behind. These days living mindfully is uber cool. It's what all the celebrities tell you to do. And we make judgements that it's fine for them with their cooks, cleaners and nannys to share the load but how on earth does your average suburban parent find time to live mindfully while managing a home, family, work and everything else that fills the days so urgently?. Truth is, living mindfully in our house some days looks a whole lot like trying to stick to our systems of domestic organisation that will hopefully prevent a complete collapse of hygiene and order. And other days, it is in complete contradiction, and I know living mindfully in that moment will mean ignoring the piles of washing and returning to pinch lemons from the far reaches of the neighbour's tree with my little man. It is choosing to dwell on whatever is good, noble, pure and true and picking these things above the hum of the world I find myself surrounded by. It is being thankful for what I do have, aware that these moments are short and can so quickly pass or easily be snatched away. So in November I love that the #iamthankful campaign is on again. It draws me back to appreciation and gratefulness for the good that surrounds me. So yes, one of my children has unraveled an entire roll of toilet paper in the lounge tonight and the other has cried her eyes dry in lament over having the wrong top for school tomorrow but these are the moments and #iamthankful. I had thought I would soon pen a little note about the culture shock of re-entering NZ after our time away. Perhaps give comment about how the children have found re-settling into school and routine. Look back over our dream time away and reminisce about how I have felt more awakened to appreciating moments in time. Instead I find myself gripped by images of a place that was in so many ways my dream time, now in the clutches of it's very own nightmare. 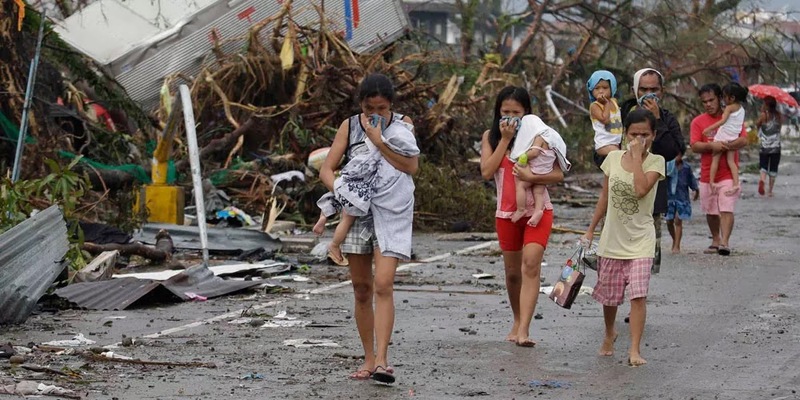 While our friends in Manila are safe, their countrymen a little further south are devastated by the terror of Hurricane Yolanda (International name: Haiyan). 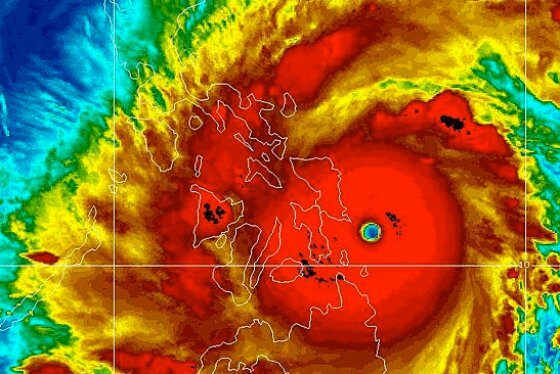 It has been said it maybe the greatest tropical typhoon/hurricane to ever make landfall in recorded history and I can't begin to imagine the devastion that means for the people of the Philippines. 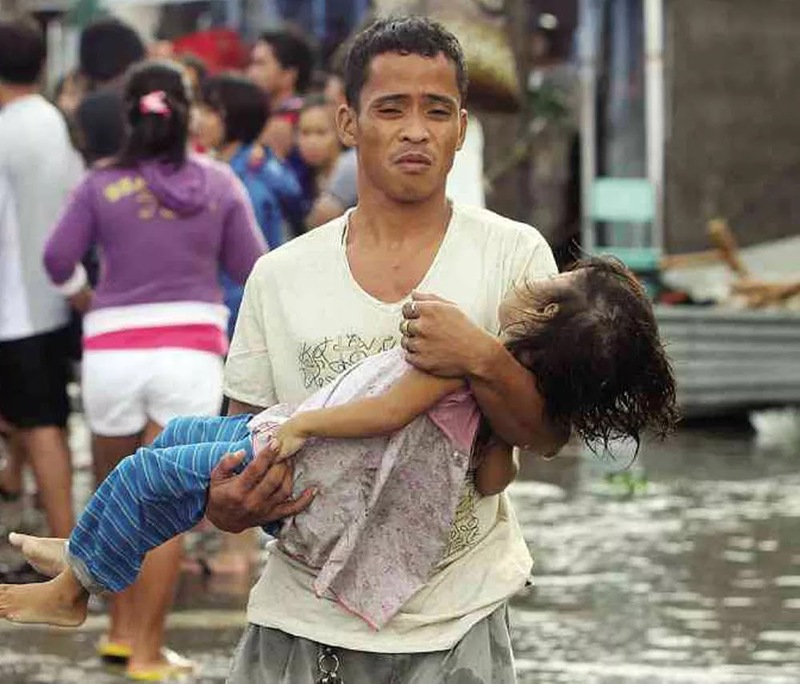 We hear statements like '10,000 may have died in the city of Tacloban alone and thousands are left homeless' and the gravity of it can pass us by as just another article on our social media feeds. We have no other point of reference than our own experience of 'storms' and 'natural disasters'. For me that experience is close to nil and so it is hard to comprehend. I have lived through typhoon season in Asia and found the scale of them beyond that which I have ever faced in New Zealand however none that I have been touched by know even a portion of Hurricane Yolandas fury. In a nation where the mass don't have buildings governed by any type of building code, structures can be flimsy and prone to up and leaving even under regular high winds pressure. These areas have already faced the destruction of a major earthquake recently and add the fact that many of the areas in the storms path were coastal settlements and you have a lethal combination. But this is not just flattened buildings. It is parents torn apart, grandparents now minus entire generations below them that they have raised only to see them swept away, childrens lives permanently and irrevocably interrupted. This is devastation of the heart, mind and body and we cannot look away. If this becomes just another facebook story that passes in a few days without our attention and assistance it will be a crime. I have no doubt that this will hurt for a long time and many thousands will grieve but I have also seen for myself that the Filipino people are a formidable force of their own and one that even Hurricane Yolanda cannot destroy. As the world rallies around them to bring support and begin the long process of restoration I am confident we will see a resourceful group of people arise. 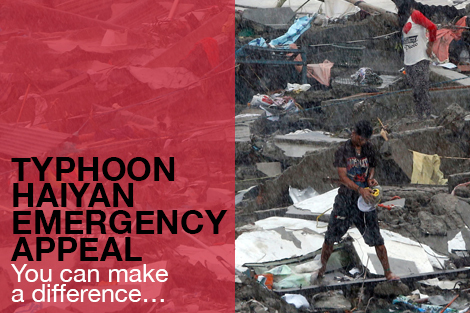 Lets do all we can to help bring some relief and lets show the Philippines some 'Good Love'. Here's one idea of a company that I know making a big difference by providing direct, immediate and effective aid. They are already on the ground in the Philippines and each Shelterbox is full of essential supplies and has multiple uses. It includes shelter and lifesaving essential supplies. They have a great video showing how a Shelterbox makes a difference which I've added below. I'm looking for 20 people to join me and give $50 each to help provide a full Shelterbox . Please click below to go to their appeal page then let me know. Any donation is great but it would be awesome to know when we've all done enough to provide a whole box. People who've read this and seen the details on facebook have now donated over $4000. I love it! Thank you all and please continue to give. I am sure that no matter where or what we give it will be gratefully received. This week just gone, as I sat between life and death, I mused on the trade of sitting in the middle. 4 days attending a funeral directors trade show, surrounded by monuments and fluid, tools and cremation jewels has a way of making you do that. We set up, attempting to cover our 3 x 3 of rather difficult blue and white booth drapery. My fabulous set designer had it looking splendid in no time, however we forgot to snap a picture of the finished product so a setup one shall have to suffice!. We peddled our wares and took some orders, reacquainted ourselves with new friends from the last expo, attended a texan 'boot scootin bash' and began discussions with some men of note. All the while, one of my very best friends faces the loss of her dear dad and it pains me, even from afar, to see her aching so. This sharp reality of death reminds me that we do what we do in the somewhat strange and unfamiliar industry we have entered because at the end of the day, our product touches a grieving family and helps them contain records and memories of the love shared for the one that has left them. The collection of funeral industry personnel I've come to know are also some of the most genuine people I have ever met. Every new interaction I have with various members of this trade gives me great respect for the roles they play in helping our communities manage times of loss. It is a rare breed that can face what many people fear, day after day and make it manageable for the families they serve. As a result of one of these kind hearted souls, I have begun reading a book entitled 'The Good Funeral' and aside from the industry gems I am unearthing I am swallowed up by the language of the authors. With work and adventuring all consuming as it has been, reading hasn't hit the top of the to do list until now, so picking up the book is like literary water for this word parched soul. Although I shouldn't be surprised I find that the pure pleasure of being wrapped up in words, having them swilling in my mind and on the tip of my tongue is like finding a little pocket of heaven. With reverence and intrigue I pick it up again late at night, for a short sip which becomes a long drink. Old words from school spelling bees and phrasing from creative essays bubble again. Creative words, family words, industry words, biblical words and phrases. And the word became flesh. This one intrigues me. The thought that what is spoken or written could somehow be embodied. While that statement is wrapped in theological depth I don't pretend to understand fully, I am moved again to consider the creative power of words. Might I truly sculpt a new way of thinking for myself and my family by the power of what I say? Might I produce products that sit like salve on wounds and bring healing merely by the presence of the captured words and memories within? While others may fall asleep at a passage full of complexities I am becoming more fully alive to the lilt and movement of words, and the task of managing them. This is the true challenge. To tame the tongue and use it as a tool for good instead of letting in roam free and wild. Imagine what could be.